City of Burlington staff has come out with an updated report ahead regarding the city’s opt-in/opt-out decision on cannabis retails stores ahead of tonight’s Committee of the Whole meeting and Special Meeting of Council, immediately after. Staff is recommending Burlington opt-in to allow the inclusion of retail cannabis stores in our city. The Alcohol and Gaming Commission of Ontario (AGCO) confirmed on Dec. 13, 2018, 25 retail licenses would be available for retail cannabis stores in Ontario, with six of those dedicated to the GTA (Halton, Peel, Durham and York). On Jan. 11, the AGCO released the results of the licensing lottery. It is important to note that if a retailer is successful in getting a retail licence for cannabis, they will still need to qualify and are subject to all requirements before being granted an operators license — part of the license-granting procedure includes the previously announced AGCO 15-day public comment period. The city staff report shows 2,718 surveys were completed by residents regarding cannabis retail stores between Dec. 4, 2018-Jan. 10, 2019. It found 62.8 per cent supported having stores located in Burlington; 39.1 per cent preferred having the option to purchase cannabis both in retail stores and online; and 38 per cent stated they didn’t intend to buy cannabis. Tonight’s COW meeting and Special Meeting of Council begins at 6:30 p.m., in Council Chambers on the second floor in City Hall. Exempts retail cannabis stores from municipal business licensing and land use planning which means the province determines location criteria and licensing rules. The city’s role is a commenting agency on locations. Names the Alcohol and Gaming Commission of Ontario (AGCO) as regulator of Ontario’s private retail model. The AGCO will be licensing and enforcing regulations regarding retail cannabis stores. They will receive applications for licenses beginning Dec. 17. Aligns smoking cannabis with the Smoke Free Ontario Act which would allow smoking cannabis in the same places as smoking cigarettes. Municipalities would be able to enact by-laws to regulate and further restrict where smoking cannabis can take place. The Smoke Free Ontario Act is enforced through Halton Region’s Health Department. Further restrictions on smoking beyond the Act would be enforced locally by municipal by-law officers. 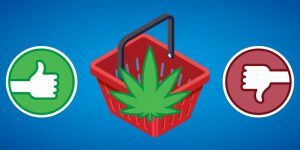 Stores will be able to operate between 9am and 11pm, and sell only cannabis products, accessories and shopping bags. Distance of cannabis retail stores from schools has been set at 150m. $15 million will be divided up among all municipalities on a per household basis in January 2019. The minimum amount that any municipality will receive is $5,000. $15 million will be distributed among municipalities with an additional $5,000 for municipalities who have opted out, and the balance divided among municipalities who opt in. $10 million will be allocated exclusively to municipalities that have not opted-out. The city recently received a letter from the Ministry of Finance regarding the Ontario Cannabis Legalization Implementation Fund. The city’s first payment through this fund is $93,063 and will be received in January. Further, if Ontario’s portion of the federal excise duty is more than $100 million in the first two years, then the province will provide 50% to municipalities that have not opted-out.